August is a big vacation month in North America and Europe. So it’s not surprising to find columnists writing about lessons learned from their summer travels. Nor is it surprising they’d learn lessons from what most of us do on vacation—getting outdoors and connecting to something less cerebral and urban than our daily routines. Take Nicholas Kristoff, in “Food for the Soul.” His visit back home to the Willamette Valley in Oregon leads him to wax eloquent about the price we’ve paid for large-scale industrial efficiency in agriculture. His co-columnist Thomas Friedman, on safari in Botswana, writes in “Connecting Nature’s Dots” about what we can learn by reading the "newspaper" of markings in a dirt road; the remarkable connectedness in nature. And Natalie Angier, in “Brain is a co-conspirator in a Vicious Stress Loop,” suggests the antidote to a vicious circle of stress that hardwires even more stress into the brain. The antidote is August. Having just returned from vacation myself, it struck me that my own reflections followed a similar pattern. I took a vista-on-steroids trip from Vancouver to Calgary, with stunning views of rivers, deserts and mountains from train, helicopter and roadside. Fabulous memories and photos—but from all of it, one image stands out. It’s the view of several animal crossings being built across the trans-Canadian highway near Banff. The crossings look pretty much like any other bridge built to carry a local road over a highway—except that they’re for animal roads. They carry not asphalt, but earth and vegetation. The road down their middle is buried below the edges, so animals can’t see the gas-powered people traffic beneath them as they cross on their own roads. Built for deer, moose, porcupines, marmots, bears, bighorn sheep, ground squirrels and other inhabitants of the neighborhood, the bridges prevent cars from crashing into moose on the highway—something good for neither moose nor car. But roadkill prevention alone could be handled just by fences. More broadly, the bridges keep the highways from dissecting ecologically integrated communities into fragmented pieces. Animals require certain geographic ranges of movement to sustain themselves as a population. In communities like Banff, the delicate balance between town garbage regulations, coyotes, wolves, bears, bobcats and dogs makes clear the lessons of interdependence between all creatures and their ecosystems. Why should a Canadian living in Nova Scotia give a damn whether a deer crosses the highway in Alberta? Why should an Albertan care, for that matter? The only answer is, because they have evolved a society that grants social permission for the collective care and feeding of the interdependencies that underlie society. Granted, those of us in urban US environments can also cite extraordinary examples of social interdependence. Cities don’t work without massive social recognition of the need to get along together. But the animal bridges provide a counterpoint to, for example, the current health care debate in the US. If the Canadians can recognize and act upon—at a Federal level—the value of protecting inter-species interdependence, why can’t their neighbors to the south figure out the value of providing universal basic health care coverage to their own species? Evolved social structures—including trust—have to begin with the recognition that we’re all in this together. 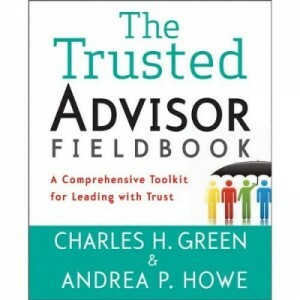 August is a good time to remember the interdependencies that make trust so valuable.